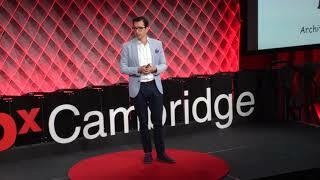 TEDxCambridge | What Moral Decisions Should Driverless Cars Make? Artificial intelligence (AI), machine learning and robotics are emerging rapidly, impacting institutions and values without warning. Iyad Rahwan of the MIT Media Lab is one of the foremost developers of AI and computer technology. But he goes much further than the technical aspects: he is also a leading authority on the high-level implications of AI and social media on society, the future of work and government. An esteemed researcher and professor, as well a highly engaging and articulate orator, his expertise serves two important overarching purposes: to make sense of the vague but undeniable changes being wrought by current technology, and help organizations channel it into constructive and profitable gains that help rather than undermine the common good. Rahwan, who serves as both the Director of the Max Planck Institute for Human Development in Berlin and head of the MIT Media Lab’s Scalable Cooperation Group, offers organizations a new perspective for understanding how AI is impacting every industry and human endeavor. An expert on AI and the future of work, Rahwan argues that automation will not eliminate jobs as much as the need for certain skills. His framework outlines a strategic map for evaluating the skills that will most and least likely be automated. Rahwan also explores the more controversial uses of AI as it enables greater violations of trust on social media through promotion of “fake news.” He anticipates a traditional “mainstream” media shift, which will become more important in a world where the line between fact and fiction is increasingly blurred. Rahwan’s latest research focuses on how AI developers are ignoring the role of ethics at the risk of imperiling society. To demonstrate how immorality can shape technology, he and a team designed a “psychopathic” algorithm named Norman. Trained on a deep learning method that exposed him to only violent images, Norman demonstrated psychological traits closely associated with human psychopaths. The potential of machines to think and act immorally compels us to consider what moral sensibilities we program into them, particularly as we delegate more of our own responsibilities to AI, such as relying on autonomous vehicles for transportation. We will be forging a new “social contract” with technology that will require us to take a closer interest in what motives machines have in making decisions on our behalf. To this end, Rahwan’s Scalable Cooperation Group has produced an interactive test called “The Moral Machine,” which requires test-takers to confront and reflect upon their own innate biases in determining how self-driving cars should operate in the event of ethical dilemmas (you can explore how your country ranks in a variety of moral decisions here). Rahwan, who is a native of Aleppo, Syria, holds a doctorate from the University of Melbourne, Australia. His work has appeared in major academic journals, including Science and PNAS. Rahwan’s research and writing is regularly featured in major media outlets, including The New York Times, The Economist and The Wall Street Journal. Iyad Rahwan is available for paid speaking engagements, including keynote addresses, speeches, panels, and conference talks, and advisory/consulting services, through the exclusive representation of Stern Speakers, a division of Stern Strategy Group®. How can we reap the benefits of artificial intelligence (AI) while minimizing the risks it poses to society? Iyad Rahwan argues we already have many of the institutional tools needed to regulate AI. But some aspects are very different, requiring fundamentally new approaches to the study of machine behavior and the certification of AI systems. In this presentation, he offers a new way of thinking about AI. To effectively regulate intelligent machines, we need to look at them as a new species and appreciate the ways in which they can autonomously impact humans in unexpected ways. Rahwan shows how businesses and policymakers can adapt their thinking to the new realities of AI, and develop updated rules and guidelines that recognize that they are now dealing with something unlike anything they experienced before. As advances in robotics and artificial intelligence revive concerns about the impact of automation on jobs, a question looms: How will automation affect employment in different jobs, cities and economies? Iyad Rahwan discusses major challenges facing decision-makers as they plan their response to the changing nature of work. He also presents novel tools and visualizations that enable organizations to understand the nature of work and the potential for human-machine symbiosis. Artificial intelligence (AI) systems, such as autonomous vehicles, promise to revolutionize society. But they also made salient an ethical question: How should an algorithm decide relative risk in situations of unavoidable harm? Iyad Rahwan presents a series of psychological studies that explore how people think about AI ethics and discusses the regulatory challenges these studies reveal. He also describes a crowdsourcing effort that engaged tens of millions of people worldwide with the ethical questions facing AI users and regulators. The internet and social media have revolutionized our ability to cooperate at scale. 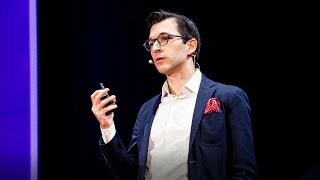 Iyad Rahwan explores the physical and cognitive limits of crowds by following real-world experiments that utilized social media to mobilize the masses in tasks of unprecedented complexity. From finding people in remote cities, to reconstructing shredded documents, to canvassing an entire continent in search of balloons, the power of crowdsourcing is real. So are the exploitation, sabotage and hidden biases that undermine that power. To effectively leverage social media, we need to understand both the wisdom and madness of crowds. In this presentation, Rahwan shows how to harness collective efforts for constructive purposes – and combat malicious manipulation that can turn loose the fury of the mob.